As we walk all over campus we hear a plethora of different languages, accents, and see different cultures. In this day and age, it is imperative to anyone’s life skills to be familiar in at least one other language. 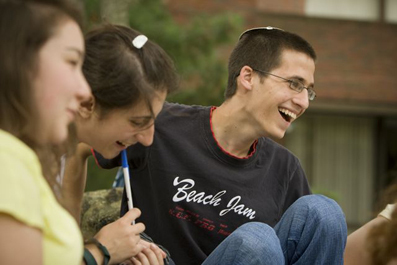 Part of this week’s post is to feature Brandeis University’s Hebrew Language Summer Institute. Those who enroll are fully immersed in the Hebrew language as well as the Israeli culture. Admissions is open to undergraduates, graduate students, and commuting high schoolers. If you do not fall into any of these categories, well then, here is some more good news! If you are not attending any sort of degree-seeking institution, but you are a teacher or an educator, this summer program is also available to you! We have dedicated teachers who have been a part of this program for many, many years. There are five courses that are offered and depending on your current skills, you may be advised to start in different levels. Throughout the course, you will be able to receive assistance from your professors as well as your peers. This is a very hand-ons learning experience aiming to boost your confidence and conversation in the Hebrew language. Summer registration is just around the corner, making this weekend the perfect time to think about enrolling in the Summer Program at Brandeis University. The unique programs that our University has this summer will gladly facilitate the learning experience of your undergraduate career. Major(s)/Minor(s) – As Brandeisian students, we know many individuals who have decided to declare everything more than the single major that we are all required to have. Since Brandeis students typically have only 7 or 8 semesters at the University, sometimes it is difficult to find the time to take all of the requirements for the various majors and/or minors. These students should be strongly encouraged by an advisor, parent, or even a peer to enroll in summer courses. 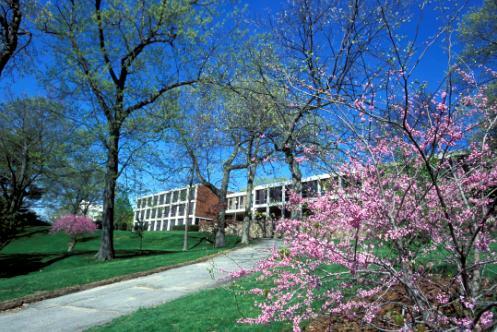 Midyears – Even though Brandeis makes the Midyear transition extremely easy and manageable for all of these students to graduate with the rest of their class, it could be helpful for a student who arrived as a Midyear to enroll in a summer course or two. There is no reason why anyone should have anxiety over the number of credits that he or she has. Internship Opportunities – There are countless majors and minors that require some sort of internship along with the rest of the required courses. If you are like me, then it is difficult to imagine putting in an additional 10 hours every week for an internship on top of all of your classes. Every summer there are different internship opportunities available. If you know that your major or minor requires some sort of internship, keep posted on the summer course announcements. Going Abroad – Going abroad is a right of passage that many students choose to take in their college years. Although it is not necessarily for everyone, there are some concerns for those who are on the fence. One of the largest reasons that I believe students do not go abroad is because of academic requirements that need to be finished on the home front. That being said, the Summer Program is the perfect place to knock a few courses out of the way. This will free up your schedule and allow you to take interesting courses abroad that are not available here at Brandeis. Graduating Early – Attention, eager beavers that want to get into the “real” world as quickly as possible, Summer School can, yet again, be used to your advantage. By taking a few summer courses and maybe one or two extra courses over your years at Brandeis, you will be able to receive enough credits to graduate early! 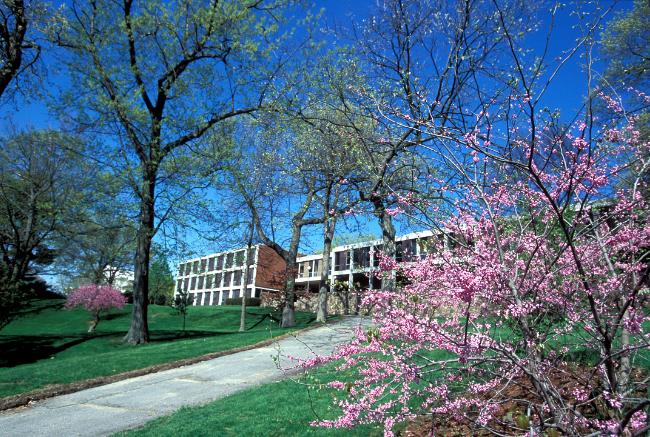 University Requirements – In order maintain the liberal nature that Brandeis has come to be, we are required to take many courses outside what we are comfortable with an expand our academic horizons. That being said, sometimes certain University Requirements escape out from under us and are found to be offered during inconvenient times (schedule conflicts, early in the morning, etc.). In order to receive the proper credits for these courses, Brandeis University allows you to enroll in courses that satisfy many, if not all, of the University Requirements. Location, Location, Location!! – Last, but not least, we have one of the most positive reasons to be at Brandeis University over the summer, which is being at Brandeis University over the summer. With incredible weather and its close proximity to Boston, there are countless things to do to enjoy yourself over the summer weeks. Summer courses are now available online! The wait is finally over, making this weekend the perfect time to think about enrolling in the Summer Program at Brandeis University. The unique programs that our university has this summer will gladly facilitate the learning experience of your undergraduate careers. Let us know what you think and comment which class you are most looking forward to take! Happy browsing! Summer is just around the corner and the sunshine beaming into the classrooms all over campus is just one of the many beauties of being in Waltham during the Summer. When you find yourself in the library until 2am because of midterms over the next few weeks, please remember that there is a light at the end of the tunnel. For the graduating seniors, this light might mean their commencement ceremony, the real world, and/or continuing their education at a graduate school level. For those of us that still have a few years left, I would strongly encourage everyone look into our summer program. Summer 2012 means new opportunities. Courses will be announced within the next few days, but in the meantime think about all the great benefits of enrolling in summer courses.